Rhinestones Hair Comb. GLAM UP YOUR HAIR WITH THESE HAIR COMBS! 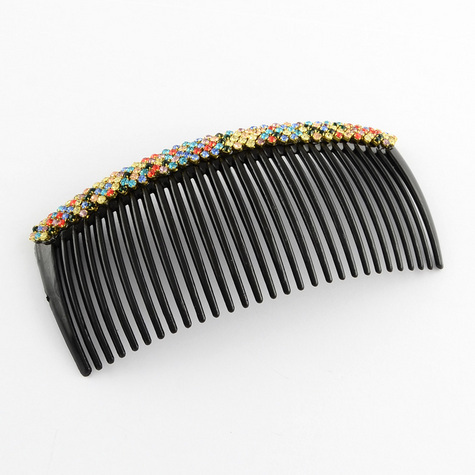 These Rhinestone Multi-colors (Yellow, Blue, Red, Pink, Orange, Green) Plastic Hair Combs will glam up your hair for sure! *Expedited shipping extra. Ships USPS, unless otherwise specified. FOR THE REMAINDER OF 2017, BLR FASHION JEWELRY WILL DONATE 50% OF OUR PROFITS TO THE AMERICAN RED CROSS.